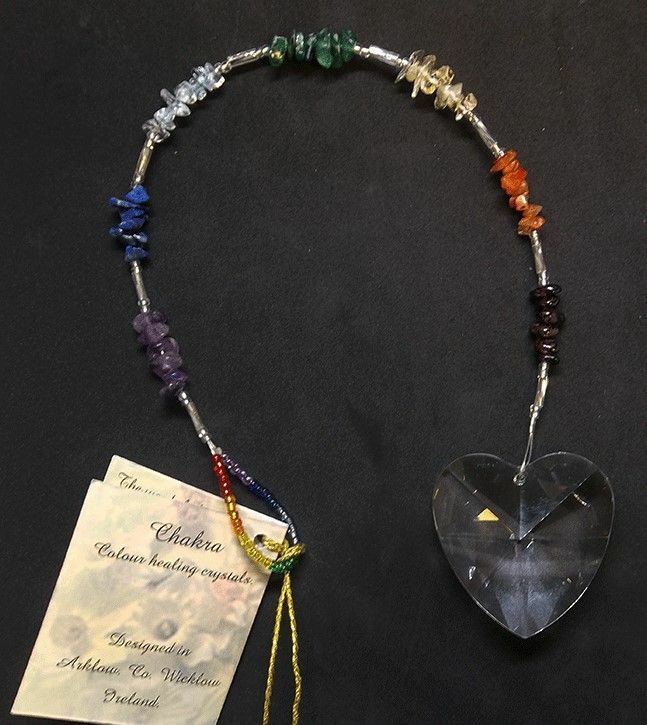 A lovely hand made Swarovski Crystal Heart Hanger made with all the stones of the chakras. This beautiful hanger also comes with a window sucker, a header card with information and a lovely colourful pouch. The hanger is 30cm in length.